After much heated debate, Apple has finally cut a deal with three major labels to bring more DRM-free songs to iTunes. 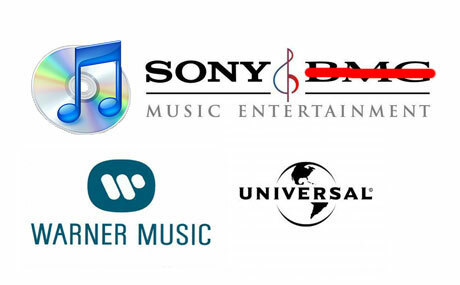 The announcement was made today (January 6) at the Macworld Expo in San Francisco, with Apple saying that Sony, Universal and Warner Music would begin offering songs free of copy protection software at the digital music store. The deal with the three major labels follows a similar agreement with EMI, who already struck a DRM-free deal with Apple, and means that all four major labels now have terms in place to provide unprotected music files to iTunes. Under the new deal, however, Apple will relax their strict 99-cent pricing scheme, Rolling Stone reports. Now songs will reportedly be broken into three tiers: older catalogue tracks that will cost about 69 cents, hit songs (where downloads can often be in the millions) that will be bumped up to $1.29 a track, and newer songs that aren't hits keeping the 99-cent price. The new iTunes pricing scheme will take effect April 1, with Apple determining the cost of a song based on how each label offers the music, Rolling Stone reports. Users who previously bought protected files will also soon be able to switch them to DRM-free files. The three major labels will reportedly begin making their tracks DRM-free by the end of the month.